FRIDAY, May 12, 2017 -- Hearing loss has been linked to several factors associated with menopause, a new study says. Hearing loss was already known to be more common in women after menopause, a time when natural hormone levels drop. Because of this, doctors had suspected that the use of oral hormone therapy might offer some protection against menopause-linked hearing loss, the researchers said. "The finding from this observational study that women who underwent menopause at a later age and used oral hormone therapy had greater hearing loss was unexpected but should lead to more testing in a randomized, clinical trial," JoAnn Pinkerton, executive director of the North American Menopause Society (NAMS), said in news release from the group. The current study can only show an association between hearing loss and hormone therapy or older age at menopause. It wasn't designed to prove a cause-and-effect relationship. The findings stem from an review of data from nearly 81,000 women in the United States. "Information about the potential effect on hearing is important to include in a discussion regarding the risks and benefits of hormone therapy for symptomatic menopausal women," she added. 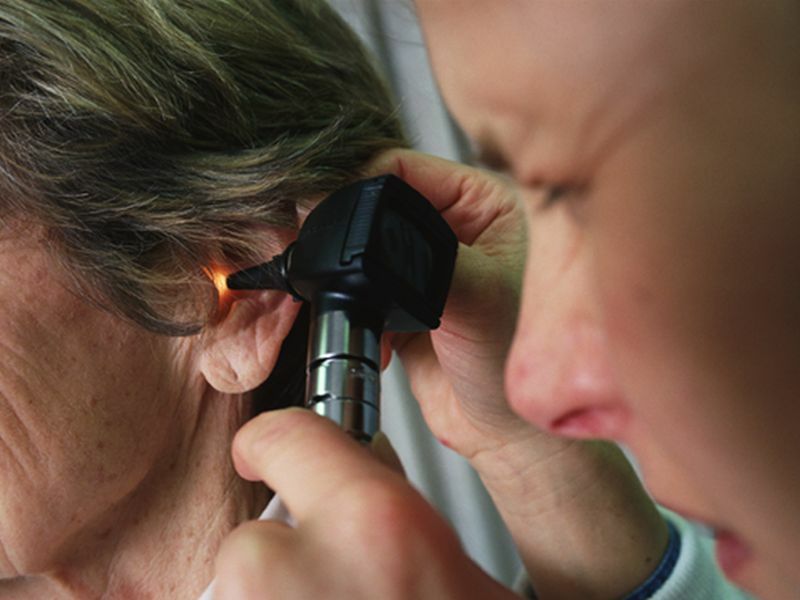 Hearing loss affects nearly 48 million Americans, and that number is expected to rise as the population ages. The study was published in Menopause, a journal published by NAMS.